After long days of waiting, President Emmanuel Macron and his Prime Minister Edouard Philippe finally appointed the members of the government who were supposed to help him in his mission during his five-year term. A joint ministry made up of 11 women and 11 men, but already criticized because no state ministry has been entrusted to a woman. 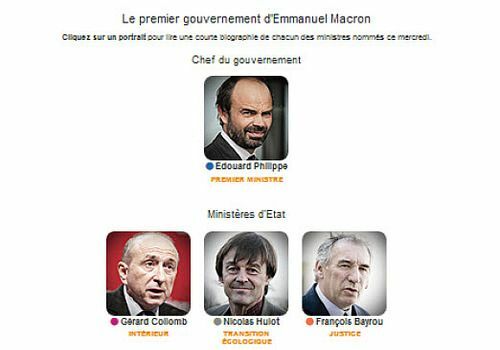 What is certain, however, is that this new government is doing business with big names in French politics such as Gérard Collomb, appointed Minister of the Interior, François Bayrou appointed Minister of Justice or Bruno Le Maire at the head of the Ministry of the Economy. A government that may well change as early as June depending on the results of the parliamentary elections to be held on Sundays, June 11 and 18.